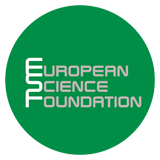 ESF, which has funded the project since its inception, and the Birkbeck Institute for the Humanities, which hosted the first conference, COST, EADH, Sofia University, University of Roehampton and Warwick University’s Connecting Cultures Research Priority Programme provided financial and in-kind support for the conference. The Academia Europaea, ALLEA, ECHIC, ICLA, the Institute of Literary Research of the Polish Academy of Sciences and University College Dublin Humanities Institute have endorsed this initiative and committed themselves to publicising the project and its conferences. Any organisation interested in becoming a partner of the CLE Forum and supporting its activities is invited to contact us.